Because semi trucks and tractor trailers are so much larger and harder to control than standard motor vehicles, the injuries that result from semi-truck accidents are often severe and typically require the accident victim(s) to undergo extensive medical treatment and rehabilitation. Needless to say, these types of injuries can often place a great deal of emotional and financial hardship on accident victims and their loved ones. On August 19, the Washington State Patrol (WSP) issued a news release announcing that state troopers would begin conducting emphasis patrols targeting fatigued commercial vehicle drivers. “This emphasis is designed to send a clear message to truck drivers that fatigue driving is a serious threat to highway safety and will not be tolerated,” says Assistant Chief Mike DePalma of the Washington State Patrol. DePalma says that troopers will open all truck scales throughout the state in order to inspect commercial vehicle drivers and their vehicles as they pass through mandated weigh stations. Troopers will also conduct roving patrols to contact commercial vehicle drivers who attempt to avoid inspection stations. Exact statistical evidence and studies on the topic of fatigued driving are limited, but traffic safety experts maintain that driver fatigue is one of the most common factors contributing to motor vehicle accidents involving commercial vehicles – such as semi trucks, tractor trailers and more. Various federal regulations are designed to limit the number of consecutive and overall cumulative hours that a commercial vehicle driver may spend driving before resting. The enforcement of these regulations is essential to reduce the number of injuries and fatalities caused by fatigued drivers. (Olympia) - In an attempt to reduce the number of fatigued commercial vehicle drivers on our roads, the Washington State Patrol’s (WSP) Commercial Vehicle Division (CVD) is partnering with Oregon, Idaho and British Columbia authorities to improve highway safety. WSP troopers and commercial vehicle enforcement officers are in the midst of an enforcement emphasis focused on commercial vehicle driver’s hours of service. Officers will stop and cite drivers who exceed their maximum allowable time behind the wheel. “This emphasis is designed to send a clear message to truck drivers that fatigue driving is a serious threat to highway safety and will not be tolerated,” said Washington State Patrol Assistant Chief Mike DePalma, Commercial Vehicle Enforcement Bureau. The emphasis patrols will run through August 21. During the emphasis, Washington will open all truck scales throughout the state as staffing allows, and conduct roving patrols to inspect trucks and drivers who attempt to avoid the inspection sites by traveling on bypass routes. Washington, Oregon, Idaho and British Columbia will share data and information during the emphasis to help verify the hours of service of drivers suspected of exceeding their time behind the wheel or altering their driver log books. Although actual percentage estimates vary, it is widely acknowledged that driver fatigue is a factor in many commercial vehicle crashes. 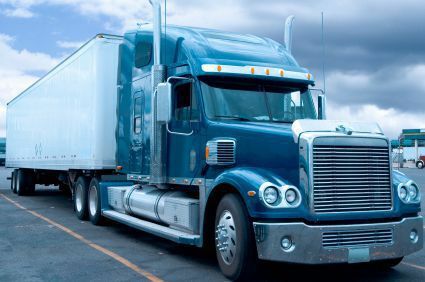 For this reason, federal regulations limit the number of both consecutive and cumulative hours a commercial vehicle driver may operate his or her vehicle without an off-duty rest period. Enforcement of these limits is essential to ensure compliance, combat driver fatigue, and assure our roadways remain safe for all motorists.